This is one of those recipes that I make that is so super easy. 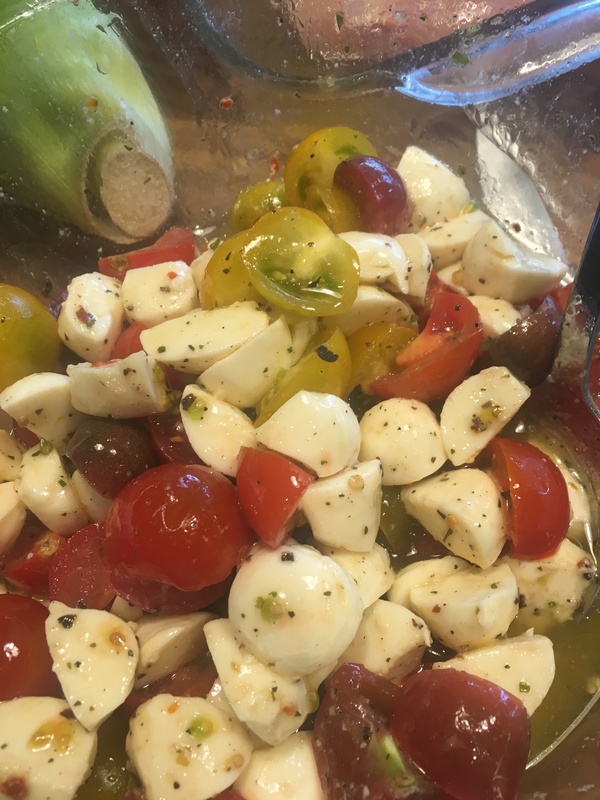 Very few ingredients and other than cutting tomatoes and mozzarella balls, there is very little prep. You gotta love meals like this, especially in the summer when these beautiful heirloom tomatoes are abundant. I really only make this in the summer and it is light and delicious. It makes for a beautiful salad as well and you can serve it at room temperature. 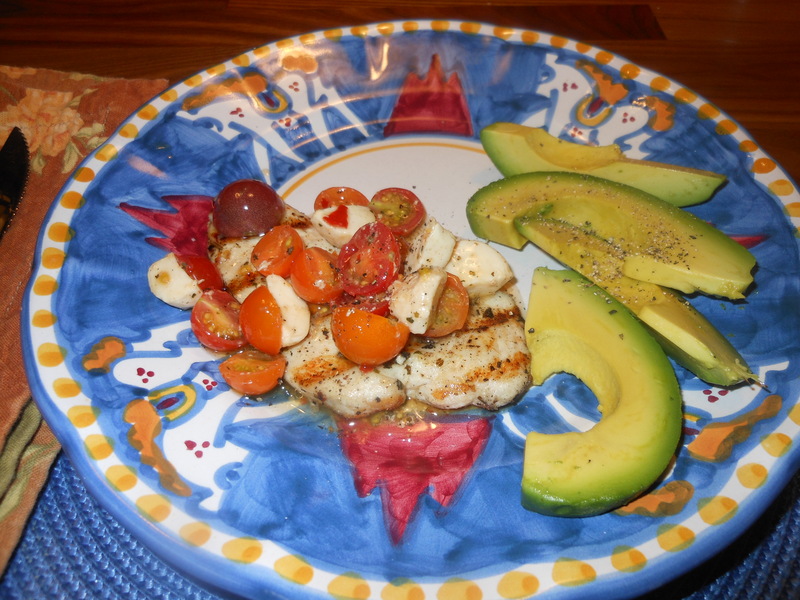 I made this tonite since I was tired, and had already bought the bocconcini (mozzarella balls) and chicken. You’re not going to believe how easy this is. It’s amazing! Take bocconcini balls out of the marinade. 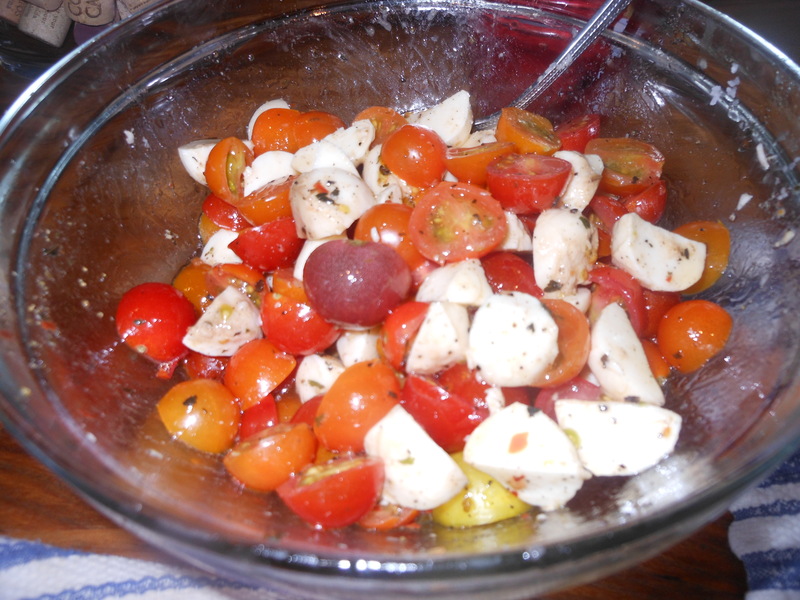 Cut bocconcini balls in quarters. Transfer about 1/2 of the marinade from bocconcini to a medium size baking dish , add the chicken , salt and pepper the chicken and let it sit at room temperature for about an hour before cooking. If you’d like you can refrigerate , and take out and bring to room temperature before grilling. Put cheese in a bowl, add the remaining oil marinade and add the cut tomatoes to this bowl. Salt and Pepper to taste, give it a good stir and put in refrigerator till you’re ready to cook chicken. I removed from fridge about 1/2 hour before I cooked the chicken. Just bring it to room temperature. Grill the chicken over medium high heat , till you get nice grill marks, probably about 8 minutes. 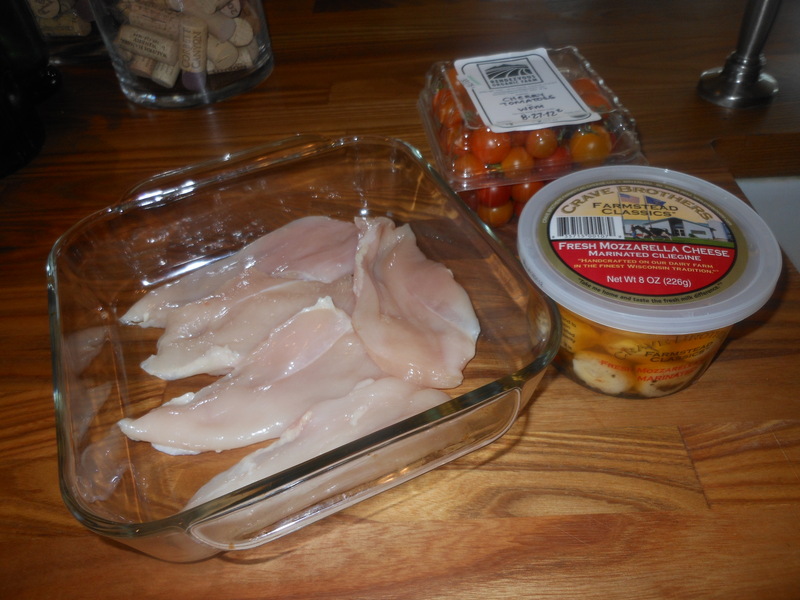 You can cut the chicken into smaller pieces and mix with tomatoes and cheese. I just plated up the chicken and put tomato /cheese mixture on the plate. Perfect summer meal. 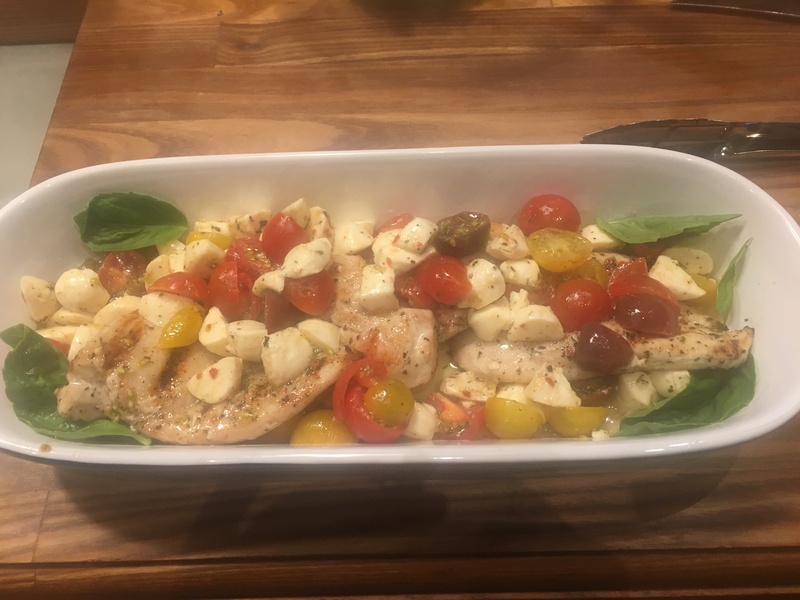 This entry was posted in chicken and tagged Chicken, chicken caprese, easy peasy chicken caprese, summer chicken dish. Bookmark the permalink. My hubby loves the caprese from Macaroni Grill. I love cooking our favorites at home. Sounds like win- win to me!